One of the most popular ornamental trees is the Japanese Maple Tree, or Acer Palmatum. For sale in a huge range of varieties (cultivars), from taller growing types (up to 5m depending on condition) to dwarf species that will reach around 1m. 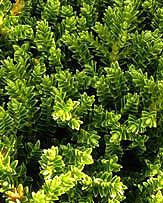 Many grafted types are available from specialist growers. 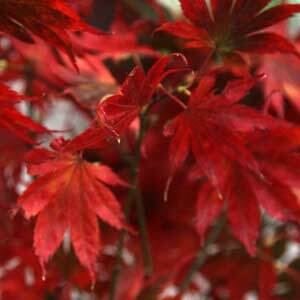 One of our favourites is Acer Palmatum disectum 'Seiryu' an upright green tree with finely dissected foliage that reaches around 4m with a classic vase like shape. For a smaller growing tree, Acer Palmatum 'Waterfall' has an attractive weeping habit and is an excellent choice next to a pond, or as a feature in the garden border. Forms include both upright and weeping types, foliage in generally green or purple changing to reds and yellows in autumn when these beautiful trees put on a great display of color before winter. 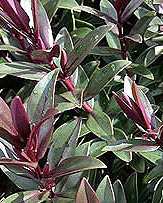 In general care of these plants is not difficult , they require a humus rich moist but well drained soil. Protection from the extremes of the hot afternoon sun and hot drying winds or strong coastal winds is preferable. When planting, we suggest digging some well rotted compost and manure into the soil 3-4 weeks before, secure the young plant with a supporting stake which can be removed once the tree has established a good root system. Newly planted maple trees can be watered in with a seaweed fertilizer which will help promote root growth. As many species are smaller growing, these wonderful trees are well suited to growing in containers, they will require some extra care. Watering will be needed during dry periods and fertilizer will be required each year during active growth, a slow release fertilizer ever 2 months is usually adequate. Japanese maple trees are a favorite as a bonsai specimen. We are a small nursery on the North Wales coast, which specialised in introducing new plants into cultivation, from seeds collected on our world-wide expeditions. 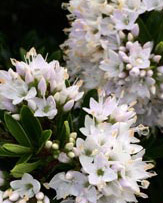 Which include shade plants, climbers, species Hydrangea, Araliaceae, rare trees & shrubs, Convallariaceae, herbaceous & bulbous. 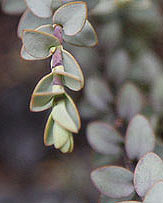 Mail-order specialists and growers of bare-root hardy trees and shrubs at an elevation of 850 feet (260 metres) above sea-level since 1950. Includes: acer palmatum, acer platanoides, acer pseudoplatanus, acer rubrum, acer saccharinum, acer triflorum and others.